Description: Peak6 is looking to hire a Business Analyst. Responsibilities include assisting the Risk, Trading, and Compliance teams and ensuring projects are meeting timelines. Qualifications: Bachelors degree required. Coding or scripting knowledge preferred. Strong work ethic required. 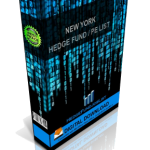 Description: Hedge fund in Boston is seeking to hire a Reporting Analyst. Responsibilities include managing and planning the audit and reporting process and leading audit-specific projects. Qualifications: 2-5 years fund financial reporting or audit experience. CPA preferred.